CMS Lung Cancer Screening Update - ONRAD, Inc.
November is officially Lung Cancer Awareness Month. Consensus has been building for long-time smokers need for annual CT Scan Lung Cancer Screening to reduce their risk of dying from lung cancer. The Centers for Medicare & Medicaid Services (CMS) announced on November 10th that it made a preliminary decision to offer Medicare reimbursement of CT scanning as a means of lung cancer screening among heavy smokers. Currently, lung cancer is the #1 cancer killer in the US claiming approximately 160,000 lives annually. It’s a devastating disease affecting anyone, regardless of smoking history, gender, or ethnicity. The CMS decision covers an annual exam for asymptomatic patients aged 55 to 74 who have a smoking history of at least 30 pack-years. The patient must be a current smoker or have quit within the last 15 years, CMS said. A written order for LDCT lung cancer screening from a “lung cancer screening counseling and shared decision-making visit” is also required. While breast, colon and prostate cancer have reliable early detection screening tests, lung cancer doesn’t. Currently, the lung cancer survival rate is 17% of people diagnosed with lung cancer survive 5 years post-diagnosis, a percentage significantly lower compared to each of these other cancers. With early screening, there is hope. Being screened for cancer increases the chance of detecting and diagnosing in earlier stages of the cancer’s development when cancer can be more successfully treated and cured. Early staging and diagnosis of lung cancer is associated with longer survival. What can you expect with screening? 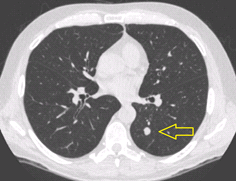 The screening test for lung cancer is done using Computed Tomography Scan (CT Scan) of the chest. The CT scanner produces a series of images showing the shape, size and location of abnormal findings in the chest which can alert a need for further follow up. CT scans are also sensitive enough to show both cancerous and non-cancerous findings. The procedure takes about 30-45 seconds and is painless. No medications or injections are needed and there are no limitations on eating or drinking prior to the CT scan. You may not even have to change your clothes as long as no metal is present. You will be asked to hold your breath for several seconds in order for your lungs to remain still during the scan and images are clear. The results of your CT scan are usually reviewed and “read” by a radiologist and will be sent to the doctor who referred you for screening. Any follow up needed will be discussed by your doctor.  ONRAD, Inc. (onradinc.flywheelsites.com) is a full service radiology partner with radiologists specializing in lung cancer screening, interpreting and communicating results. When intervention is indicated, the latest minimally invasive techniques are used to help treat lung cancer that can potentially save lives.